Shopping for a new Kia Soul EV? The base Soul EV is limited to California only. That effectively makes the entry price nearly $35,000 before incentives. The 2018 Kia Soul EV is the kind of electric vehicle we like to see. It’s fun, capable, and inconspicuous. We just wish it were easier to find at dealers. The 2018 Kia Soul EV is a compact, battery-electric hatchback that's versatile and fun, albeit with a slightly more serious price. 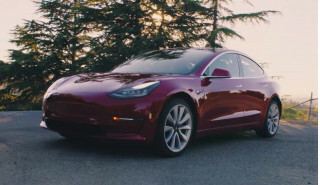 This year, the automaker increased the battery capacity from 27 kwh to 30 kwh, which bumped up the overall combined range to 111 miles. 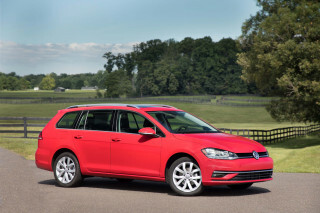 That’s better, but still behind rivals that offer more range for less money. The Kia Soul EV is offered in EV-e, EV, and EV+ (plus) trims starting from $33,145, but base models are available only in California. 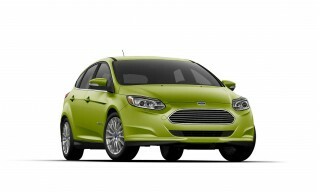 The EV trim starts at $34,845 before federal and applicable state and local tax rebates or incentives. With the Soul EV, Kia offers a good-looking hatchback with a forward-thinking powertrain. The Soul EV takes the same boxy shape and practical interior from the Soul, without wearing its battery-electric powertrain on its sleeve. 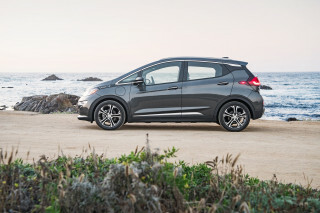 A 109-horsepower electric motor provides motivation and the Soul EV benefits from a competent chassis made better with most of its mass close to the ground. It’s quiet and fun to drive around town, but its mission is efficiency. Like most new electric vehicles, the Soul EV doesn’t compromise comfort. The Soul EV features room for four adults, five in a pinch, with available heated seats for all four primary positions. The Soul EV offers 18.8 feet of cargo space, which is better than many mid-size sedans. The electric Kia hatchback doesn’t have a complete set of crash data, but it’s based on the Soul hatchback, which is an IIHS Top Safety Pick+ winner. The Soul EV lacks the critical advanced safety features from the Soul, which we wish the automaker would reconsider. The Soul EV features a full complement of airbags and a rearview camera, but skips the advanced safety features found on the Soul. The Soul EV comes well-equipped in most trims, including a heated steering wheel and heated seats (they’re more efficient at warming up passengers), Bluetooth connectivity, and most models will have an 8.0-inch touchscreen for infotainment. Cooled seats and leather are available on EV+ trims. The 2018 Kia Soul EV doesn’t stray far from the Soul’s looks. That’s a good thing. We’re jazzed with the Soul’s pizzazz. See what we did there? Read more about the Soul’s styling here. Keep it in the cities and the Soul EV is relatively bright and fun to drive. Performance isn’t the 2018 Kia Soul EV’s prerogative. 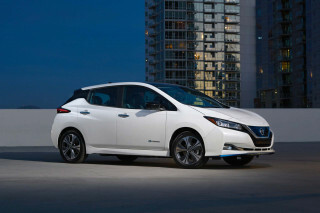 The electric car benefits from a 109-horsepower (81.4-kwh) electric motor. It’s enough to power the car smoothly and quietly, but its top speed is limited to 90 mph. With most of its weight low in the chassis, common with electric cars, the Soul EV is surprisingly fun to drive and competent, but its aim is efficiency—not enthusiasm. The Soul EV corners well for a tall hatchback, and its steering is responsive, although not very communicative. An aggressive regenerative braking system means the Soul EV can be driven by using just one pedal—like a golf cart—and it’s best around town. Drive the Soul EV on highways and its range drops roughly 10 percent. The 2018 Kia Soul EV does well with the space it’s given. At its heart, the 2018 Kia Soul EV is a small car. Its boxy shape and upright stance give it more interior room than some small cars, but we’d stop short of asking too much. Front passengers have good head room and leg room, with enough support for most body types, but the seats lack thigh support for long legs. Rear seat passengers get 36 inches of leg room, which should be adequate for most adults. The Soul EV’s compact dimensions reveal itself in shoulder room—it’s not wide enough for three adults in the rear. The Soul EV offers 18.8 cubic feet of cargo room, which is impressive among small cars but lags other hatchbacks. Every Soul EV is equipped with a split-folding rear seat that opens cargo space up to 49.5 cubic feet. Without a lithium-ion battery tucked into its cargo floor, the gas-powered Soul offers 24.2 and 61.3 cubic feet of cargo room, respectively. The 2018 Kia Soul EV lacks a complete set of safety ratings. It shares a structure with the Kia Soul, which received a five-star overall rating from NHTSA and a Top Safety Pick+ nod from the IIHS. That’s a good place to start, but it’s not directly applicable to the Soul EV. Every Soul EV is equipped with a rearview camera and six airbags, with dual front airbags, seat-mounted side bags, and full-length side curtain bags. Top trims are equipped with front and rear parking sensors. 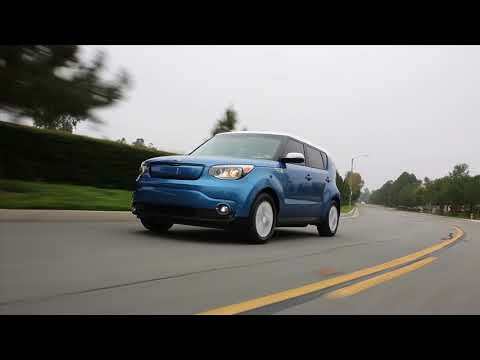 Unlike the Kia Soul, the Soul EV does not offer automatic emergency braking, lane departure warning, adaptive cruise control, or blind-spot monitors. That’s an oversight, according to us. The 2018 Kia Soul EV is well-equipped at every trim level, but base models are only available in California. The 2018 Kia Soul EV is identical to last year’s model. 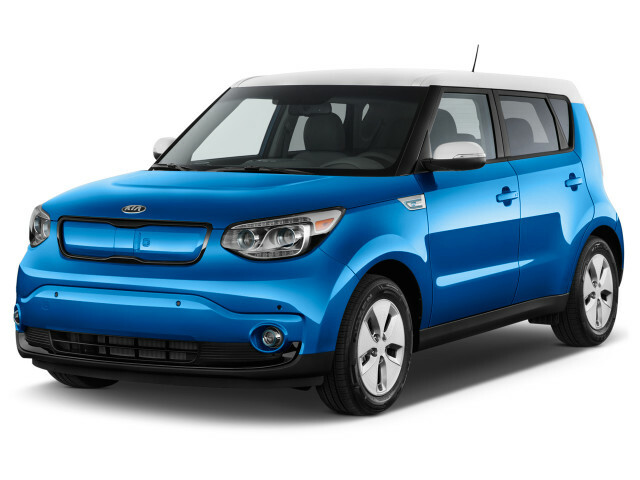 Sold in three trims, EV-e, EV and EV+ (plus), the Kia Soul EV starts at a reasonable $33,145, but that’s with a catch. The base model is available in California only; the rest of the country gets middle and top trims. Base Soul EV models are equipped with heated cloth seats and a heated steering wheel, which are more energy efficient than air conditioning on cold days. 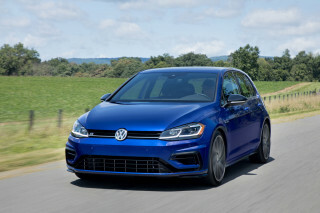 Keyless ignition, a 3.5-inch driver instrument display, 16-inch wheels, a rearview camera, and a 5.0-inch display for infotainment with Bluetooth and USB connectivity are all standard. 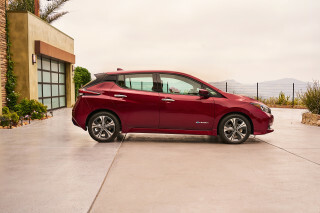 Every Soul EV includes a 6.6-kwh onboard charger for quicker charging times. Kia said when connected to a standard 120-volt wall outlet, the Soul EV will take more than 33 hours to recharge. Plug the Soul EV into a Level 2 charger, and that time plummets to just over 5 hours. Plug the Soul EV into a DC fast charger, and the Soul EV can charge from 0 to 80 percent in roughly 30 minutes. The mid-grade Soul EV swaps in a more efficient climate control system that draws less power from the batteries, which boosts range. It upgrades infotainment to a slick 8.0-inch touchscreen and better-looking 16-inch wheels. At the top, the EV+ trim comes with leather upholstery, cooled front seats, heated rear seats, and parking sensors. A single options package for EV+ trims includes speaker lights, interior LED lights, and a sunroof for $1,100. Its value is debatable. All Kia Soul EVs are eligible for a federal tax rebate, and they may qualify for state and local incentives, depending on the area. All-electron propulsion is all right with our fuel-economy scale. The news for the 2018 Kia Soul EV is good for shoppers this year. This year, Kia increased the overall battery size from 27 to 30 kwh, which bumped up the range for the Soul EV from 93 to 110 miles. Some Soul EV competitors do better. 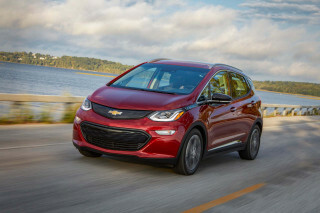 The 2018 Chevrolet Bolt EV is rated for 238 miles of range, and the 2018 Volkswagen E-Golf is rated at 125 miles and the 2018 Nissan Leaf is rated for 151 miles of range.